Southern Clinic: Gregory L. Gibson, D.O. Dr. Gregory Gibson is a Dothan native who graduated from Dothan High School and finished his undergraduate training at Jacksonville State. 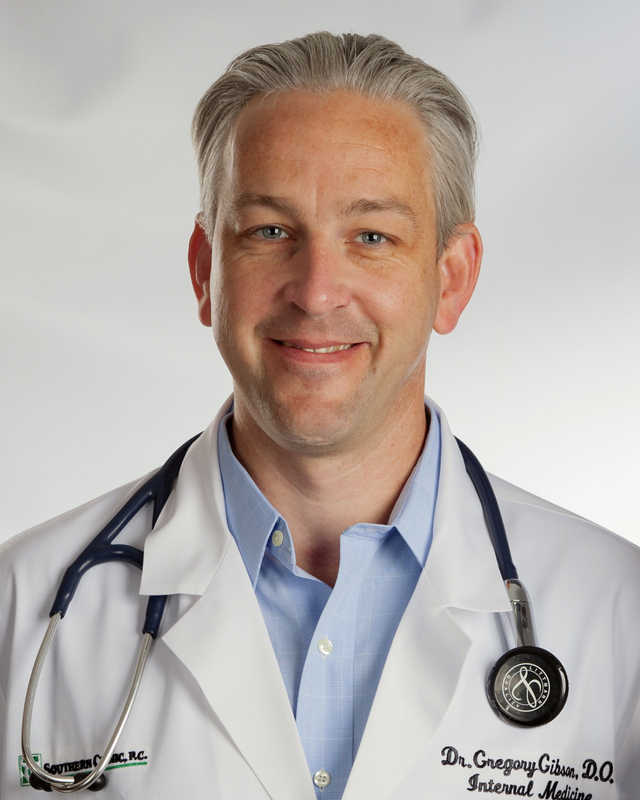 He attended medical school in Bradenton, Florida, and completed his residency in Warren, Ohio. Since finishing residency, he has greatly enjoyed establishing a practice in his hometown. He is board certified in internal medicine. He is married and has two daughters.